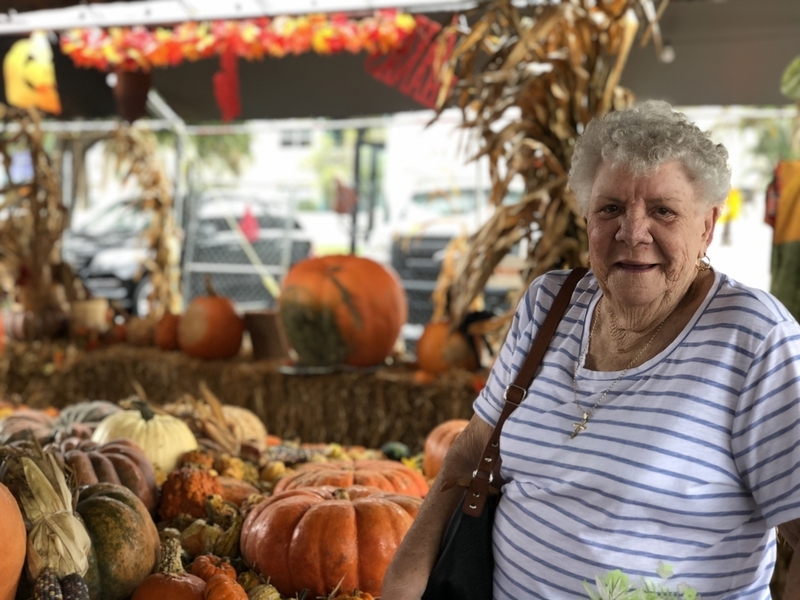 Every other month our Town Center residents take a Mystery Trip to somewhere unknown to everyone but our Community Life Director. 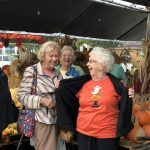 Even our driver doesn’t know until we leave! 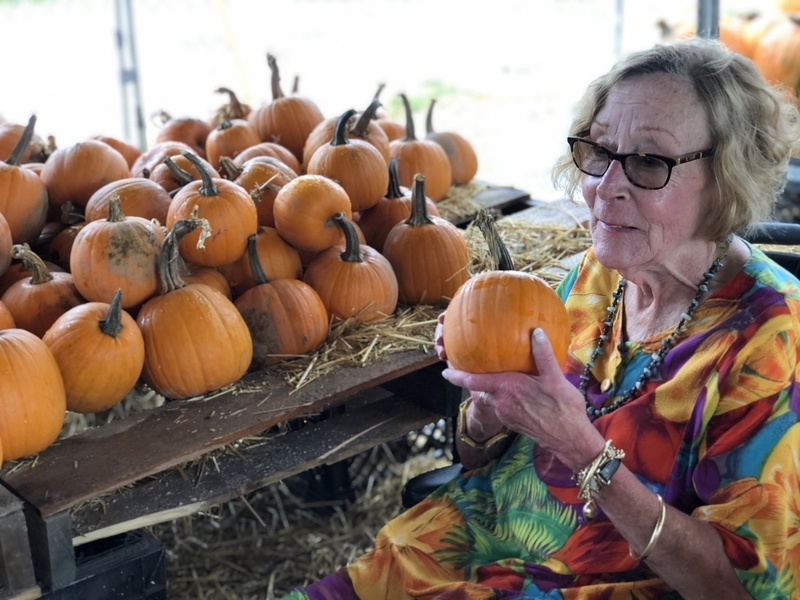 This month, in the spirit of fall and Halloween, we took a Mystery Trip to Gallagher’s Pumpkin Patch. 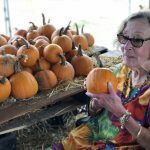 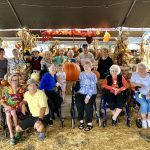 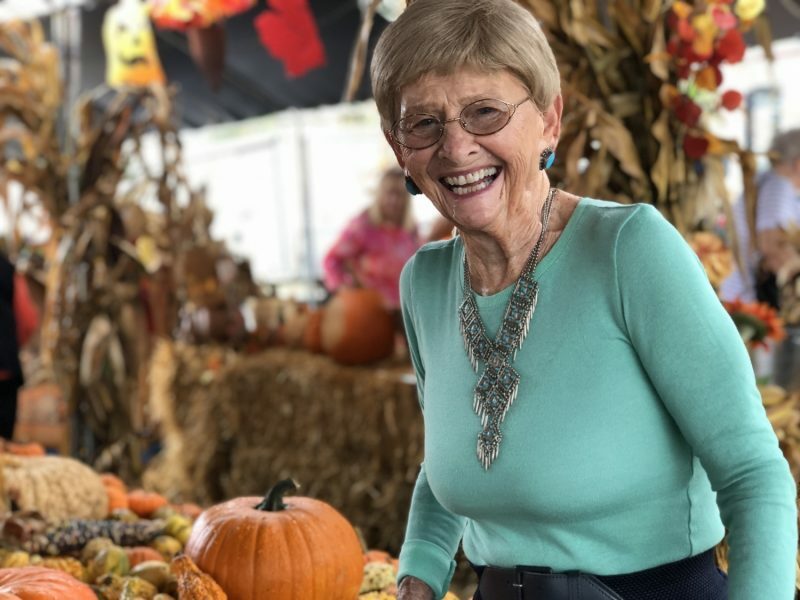 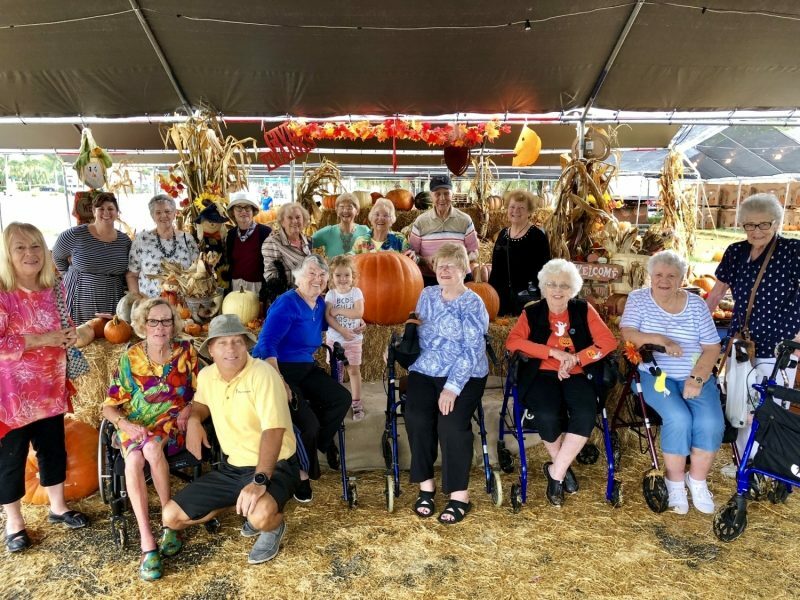 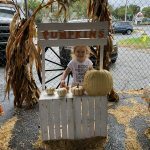 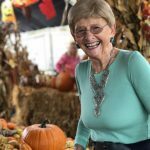 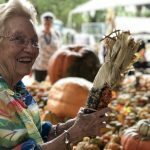 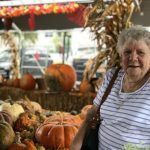 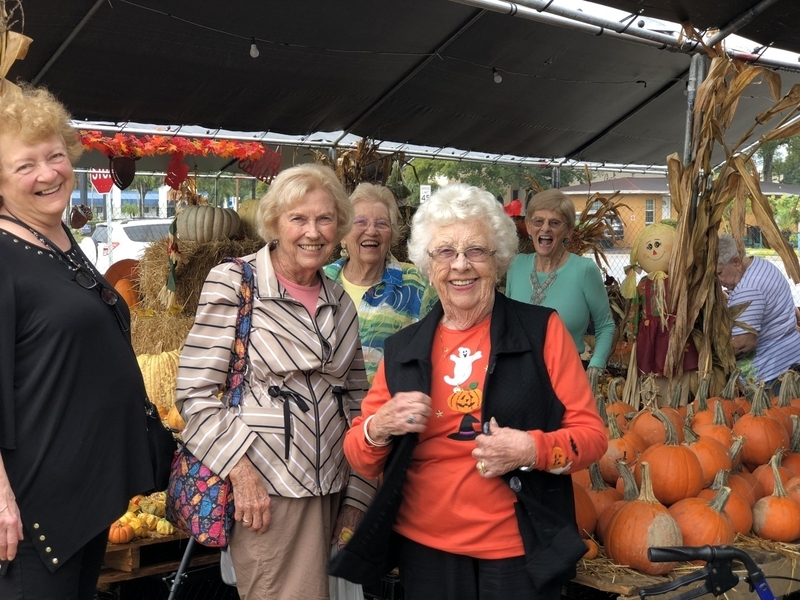 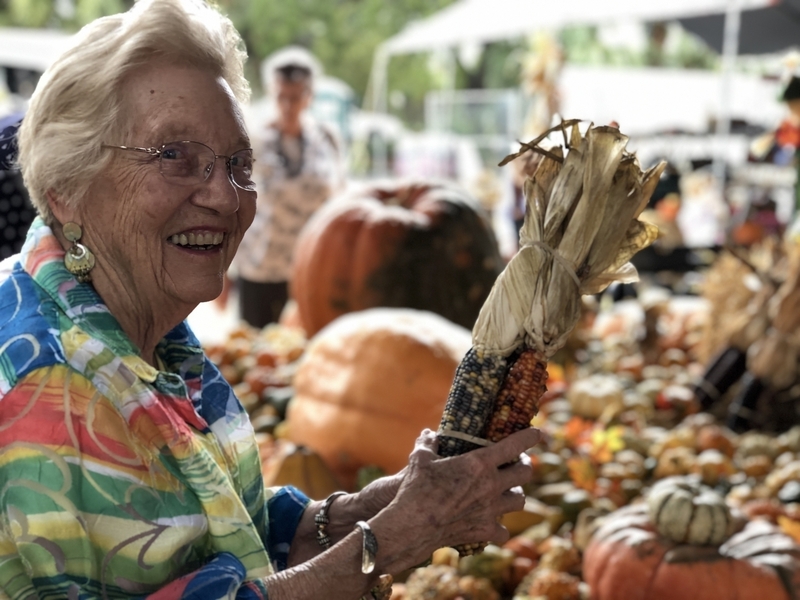 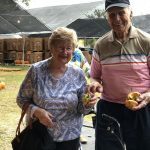 While Florida’s weather doesn’t always feel like fall, we wanted to experience fall and this tradition that many of us have had, especially since many of us have come from northern states. 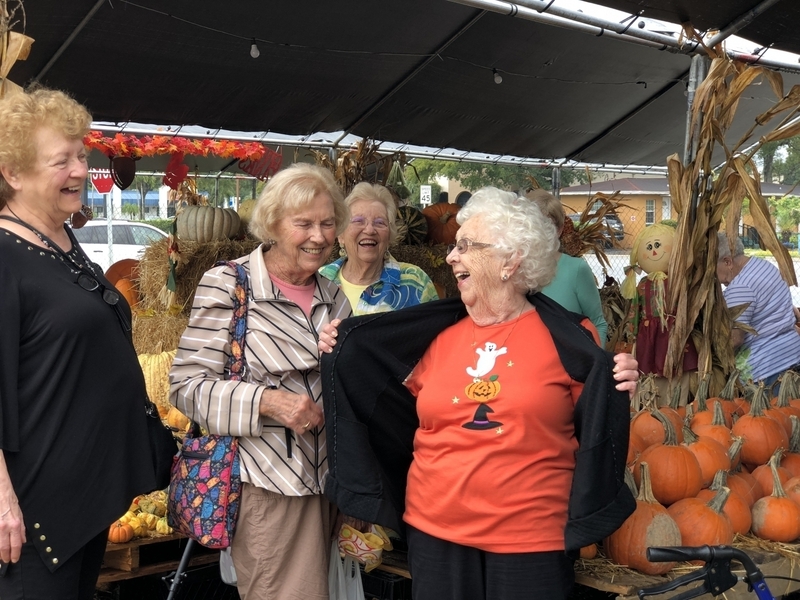 As we were driving everyone was trying to guess, very few hints were given, and in the end it was a great laugh as we pulled in! 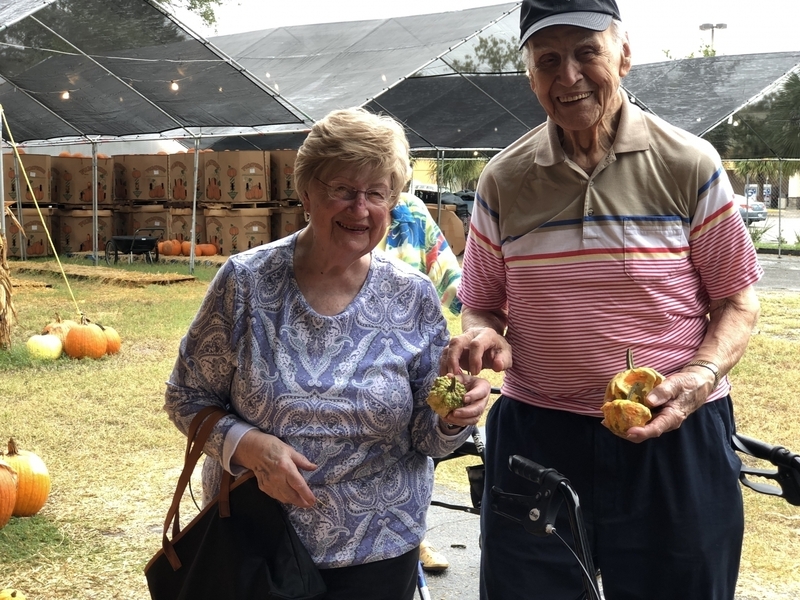 The owner, David, stepped onto the bus to share some facts and interesting aspects about pumpkin farming. 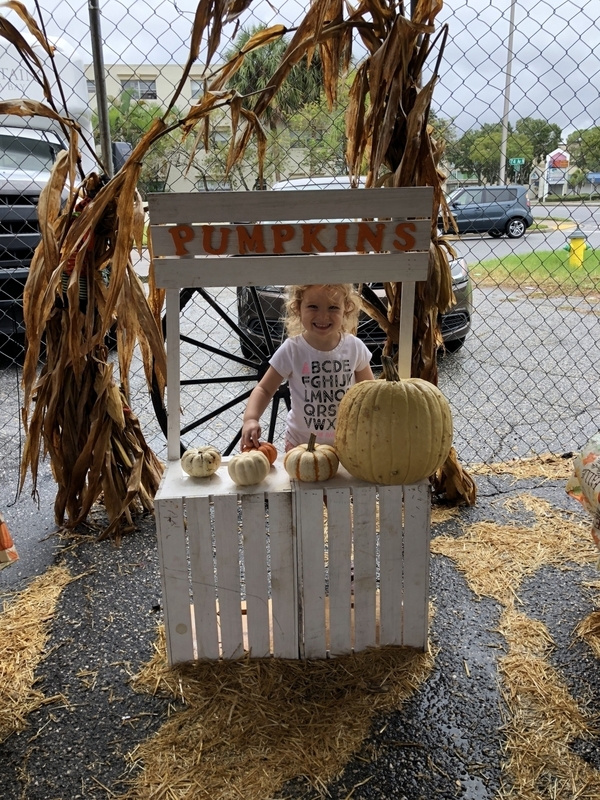 We browsed around, played with their adorable little girl who was there helping out her mom and dad, and many got their own pumpkins and gourds to take home. 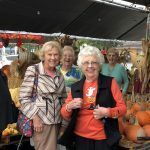 A huge thank you to the owners of Gallagher’s for making it such a fun experience for us all!